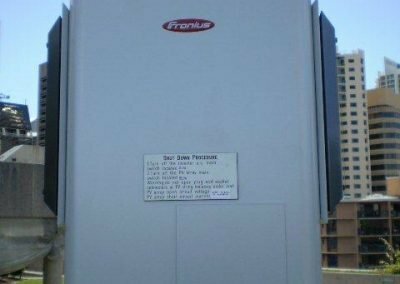 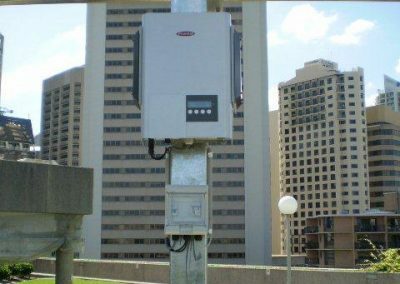 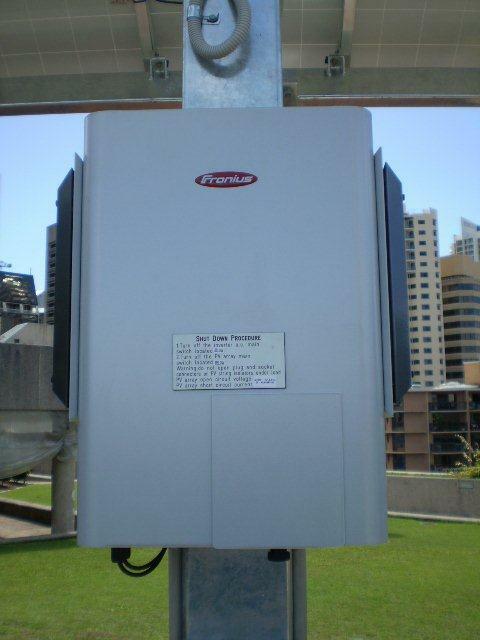 On each roof-mounted array, a Fronius IG20 inverter is connected to allow the energy produced by the array to be fed into the electrical grid. 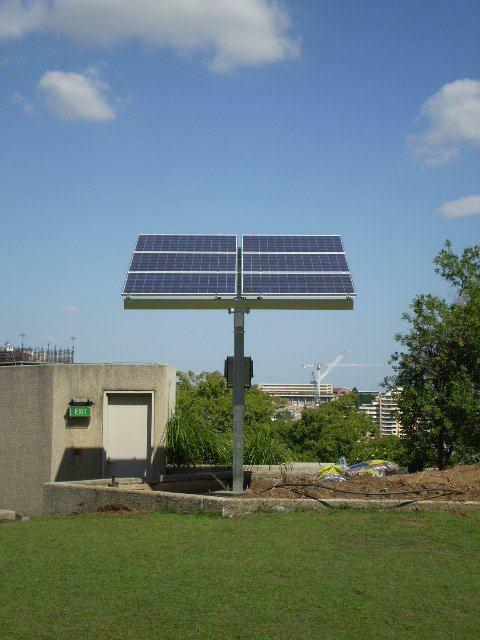 System 1 – the monocrystalline modules wired as two strings of six PV modules. 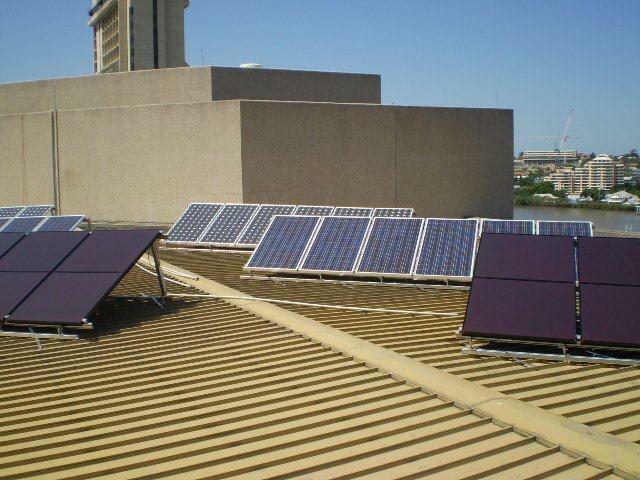 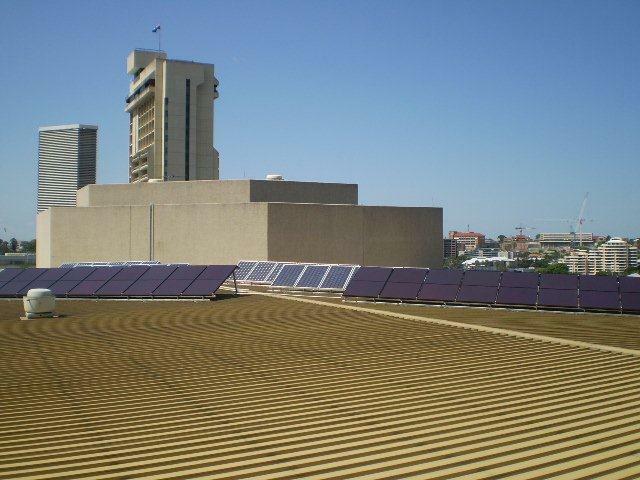 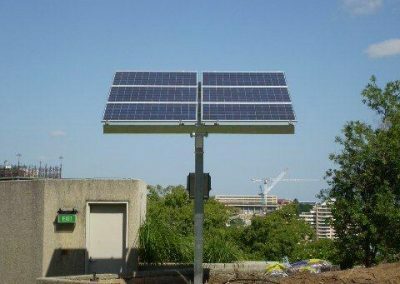 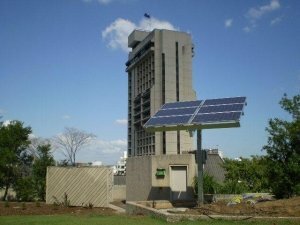 System 2 – the polycrystalline modules wired as two strings of six PV modules. 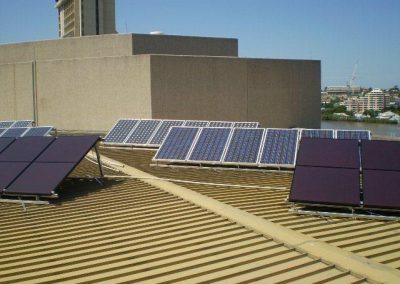 System 3 – the amorphous modules wired as six strings of three modules. 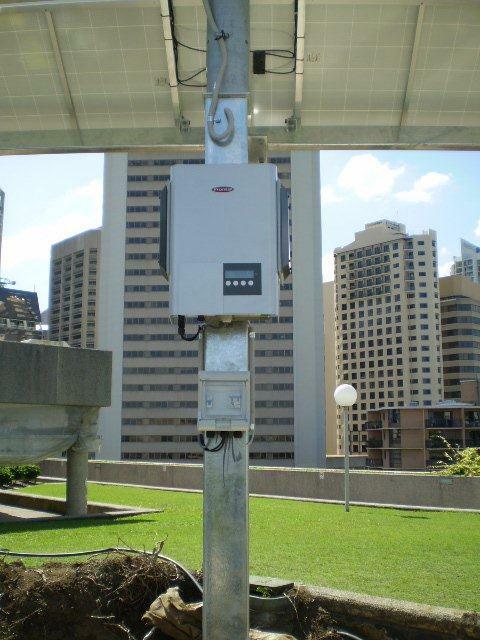 System 4 – the solar tracker mounted modules is one string of six modules, connected to a Fronius IG15 inverter unit.